Find out how to improve your job interview technique with these insider interview tips. 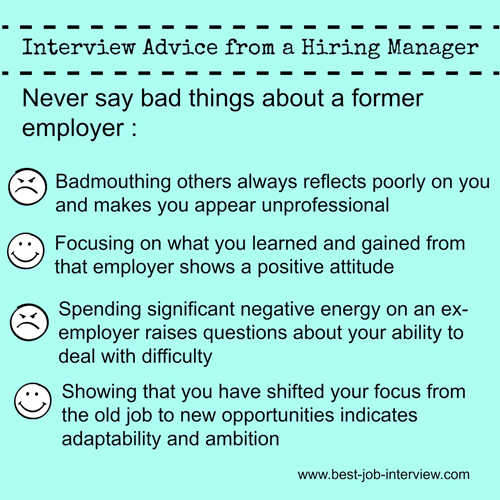 Job-winning interview advice from hiring managers that is both practical and easy-to-implement. Increase your chances of success by knowing what you can do to make the right impression in your job interview and how to avoid the mistakes that will sabotage your interview. Follow this advice from hiring managers to perfect your job interview technique. It's a cliche but it's true - you never get a second chance to make a good first impression! 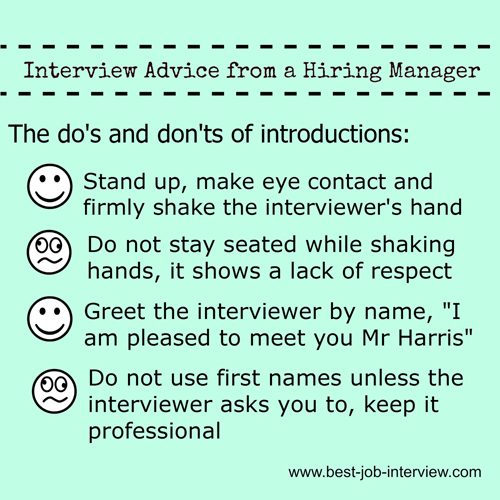 Before your interview, find out the names of the people who will be interviewing you. Make sure you have the correct name and title and practice pronouncing their names so you don't get it wrong in the interview. A firm handshake, good eye contact and a well-spoken greeting all create the right first impression. It is polite to wait to be asked to take a seat before sitting down. 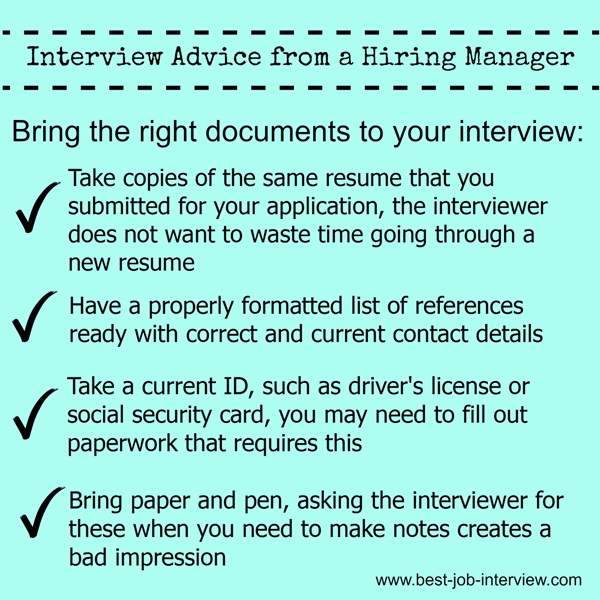 Have your documents prepared before your interview. Keep them together in a neat folder or your briefcase. Have sufficient copies to give the documents to each interviewer. Take copies of any recommendation letters you have. You may not need these during your interview but they can be left behind with your resume for the hiring manager to look at after your interview. Depending on the job you are interviewing for, bringing along work samples can be helpful. Create a well-structured portfolio of work that can be discussed during your interview and left behind after the interview. Badmouthing is one way to quickly sabotage your chances of success. It can be tempting to complain about ex-employers or to use their faults as a reason for leaving, however potential employers read this as a problem. It sends the signal that you will probably be negative about your next job. They don't want to hire someone who criticizes and comes across as dissatisfied. Find out how to handle the reason for leaving question in a professional and positive manner. Find out more about the 10 interview mistakes that can sabotage your chances of success. 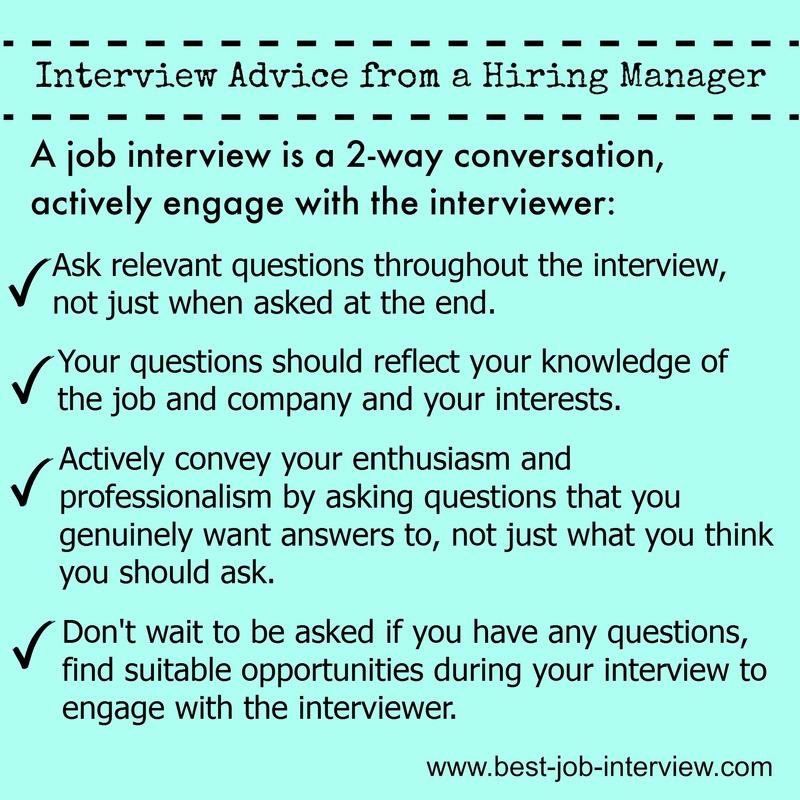 Listen for opportunities during your interview to engage with the interviewer by asking appropriate questions. A true dialogue involves stories, comments, questions and answers from both parties. The hiring manager will remember the job candidate who engaged and established a rapport rather than one who simply responded to questions. 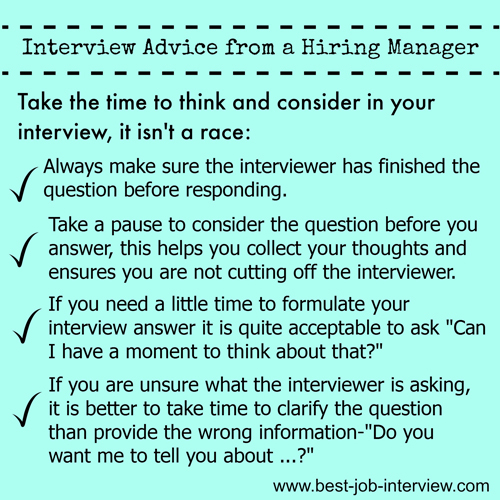 Interview nerves can make candidates rush through the interview, not doing themselves justice. Find out how to handle interview anxiety and feel confident and comfortable during your job interview. Effective interview communication is key to establishing a good rapport with the interviewer and to making the right impression. Confidence is core to this. If you are properly prepared you will feel confident that you can handle the interview well. Go through the job interview checklist to be sure you are ready for your interview. Keep in mind that the interviewer wants to see the best side of you and wants you to succeed. This is not an interrogation but a discussion about the job, the company and your skills and strengths. Practice makes perfect. 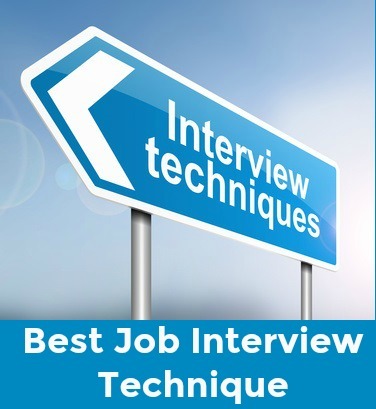 This mock job interview helps you to perfect your job interview technique.